The traditional sports & fitness range encourages the young to stay fit and healthy by engaging them in time honoured classic sports. 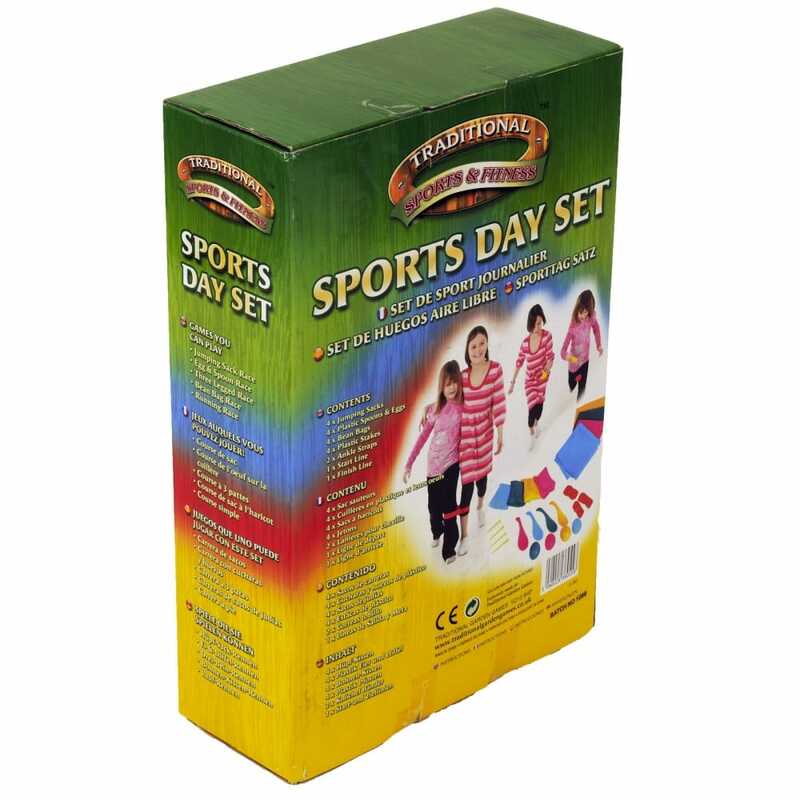 The sports day game set is great fun for everyone, great for parties or having a sports day at home or in the park. Helps improve children’s balance and hand-eye coordination. Contains: 4 jumping sacks, 4 eggs & 7 spoons, 4 bean bags, 2 ankle straps, 1 start line, 1 finish line, 4 plastic stakes and instructions included.